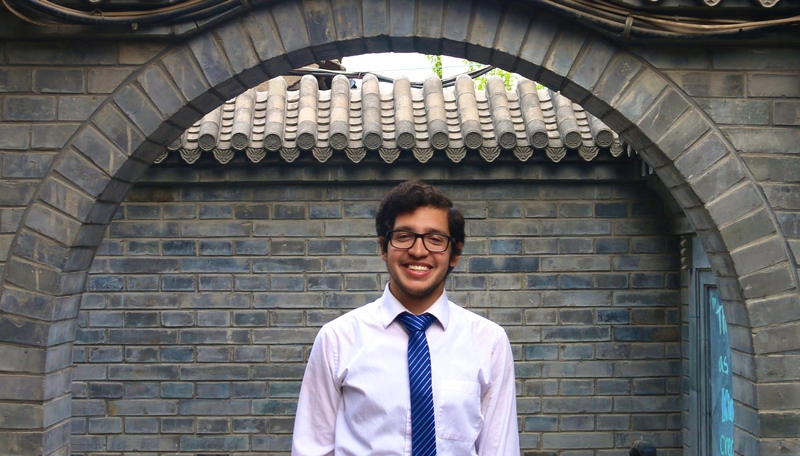 Meet Jacob Sierra, a Project Pengyou Intern from Addison, Illinois; a suburb of Chicago. Despite the unattractive subject in this picture (me), fellow intern, DaQuann Chung did an amazing job with this photo! I can’t help but feel a little embarrassed when asked this question. People expect to hear stories of lifelong passion for Chinese culture or a desire to deepen a heritage hidden among distant relatives living the country. My experience in China has been nothing like this. My decision to study abroad in China was not inspired by any love for its culture and my time here has not been easy. But it has surely been worth it. This is my China story. I fought hard to hold my tears back as I hugged my mother goodbye. We were standing outside the gate to the international terminal at the O’Hare Airport in Chicago. Travelers of all kinds walked back and forth in front of us. It should have been embarrassing, shameful, even; a twenty-year-old on the verge of tears hugging his mom. But none of this mattered. All I could focus on was the familiarity of the moment, the familiarity of what I felt. Fear. Like in a movie, my mind shot to childhood fears that kept me up at night. Stories of ghosts and zombies that had me running to my mother in the middle of the night. “It’ll all be alright. It’ll all be alright.”, she’d reassure me. 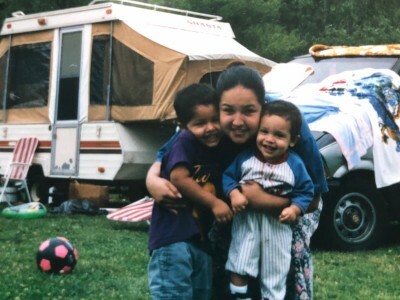 Me, my older brother, and my mom on a camping trip (I’m the cute one to the right). “What are you talking about?”, she questioned me the summer before beginning my first semester at Loyola University Chicago. I wasn’t sure I wanted to go anymore. I wasn’t sure I could. A first-generation college student with no knowledge of the world I was preparing to enter. On top of academic pressures, I would have to navigate a myriad of financial documents and student loan applications-sometimes all by myself. I was afraid. “It’ll all be alright. It’ll all be alright”. And there I stood in my mother’s arms in the middle of the airport, about to leave for Beijing, China. What was I even doing? Having spent a semester in Rome, Italy and gone through most of my savings; I was anxious about many things. Was I going to run out of money? Was I going to be safe in China? Would I even learn Mandarin well? What if I hated the country? I was probably going to hate the country. It took me a while to be convinced of my mother’s consolations. Understanding China can be challenging but it has taught me so much about itself and myself through some difficult, most amusingly enlightening moments. 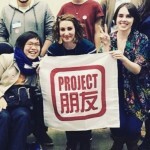 These stories are only short vignettes of my experience learning in China. Most of this learning is found in the blatantly mundane moments, moments made awkward and hilarious through my own fumbling of Chinese language and culture. The canteen at our university is fairly straightforward. It works like a cafeteria. You walk up the counter, point at the food you want, pay, and eat. Simple. Unless you’re me, of course. My Mandarin Chinese 101 class had just covered an incredibly advanced set of characters. This included: 什么 (what)， 是 (is)，谁 (who)，朋友 (friend)，王朋 (Wang Peng [it’s a name])，and so on. Tough stuff, right? But being the language guru that I am, the words came to me quickly. And I was ready to impress. I entered the canteen with a confident strut in my walk. I had this. I was going to point at the eggplant (茄子) and ask, “这个是什么? (what is this?)”. I would look so freaking cool. The phrase cycled through my mind as I approached the counter. It was my turn. I was ready. But then I messed it up: “这个是谁? (Who is this?)”. My face reddened as I began to realize my mistake. With a silly smile, the server graciously answered “茄子 (it’s eggplant)”. I must have looked like an idiot. I should study my Mandarin more. One thing I have learned about Chinese social culture is that there are fewer limits. 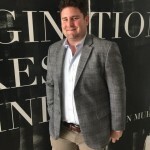 In the United States, topics like salaries and personal relationship matters are guarded by social boundaries that are nearly impossible to cross in day-to-day conversation. This isn’t the case in China (at least not always). Not many conversations make me uncomfortable-even the more forward ones I have come to have while here. But a Chinese Catholic seminarian trying to convince me to date Chinese girls was definitely an exception. “你有女朋友吗? (Do you have a girlfriend? )”, a twenty-something year-old Chinese Catholic seminarian asked me as he took a sip of his beer. “haha…um” is all I could muster before my frantic mind could recall any Chinese. “没有 (No)”. “你没还有 (you don’t have one, yet)”, he confidently corrected me with a slightly-creepy smile. “haha…um”. I’m sure I was amazing them with my eloquent English-speaking. Switching to English, he shoots his follow-up, “what is your type in women, then?”. If I didn’t know better, I would’ve been sure he was sizing me up for prospective matches! “well, um…yeah…hmm…I guess, well…I don’t really have a physical ‘type’, I kind of consider personality over looks mostly, haha”. Was the room getting warmer? Maybe it was just my face. “Then you should find a good 中国女朋友 (A nice Chinese girlfriend)!” he exclaimed as the group of Chinese Catholic priests and seminarians cheered in excitement. When asked this question, I go on about my research project which took me first to Rome and then to Beijing. My project focuses on religious devotion to images. I go on about really liking China, highlighting the easy, fun things I have been able to do here. But this answer never feels genuine. I don’t know. This is what I want to answer. I’m not sure why I decided to study abroad in China. I came here for research, and the placement was decided for me. I want to say that I almost didn’t want to get on that plane in January, that for the first month here, all I wanted was to go back home. I feel like an imposter. 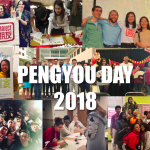 How do I talk about my experience to people who feel such a strong draw to Chinese culture or who have found home in Beijing? 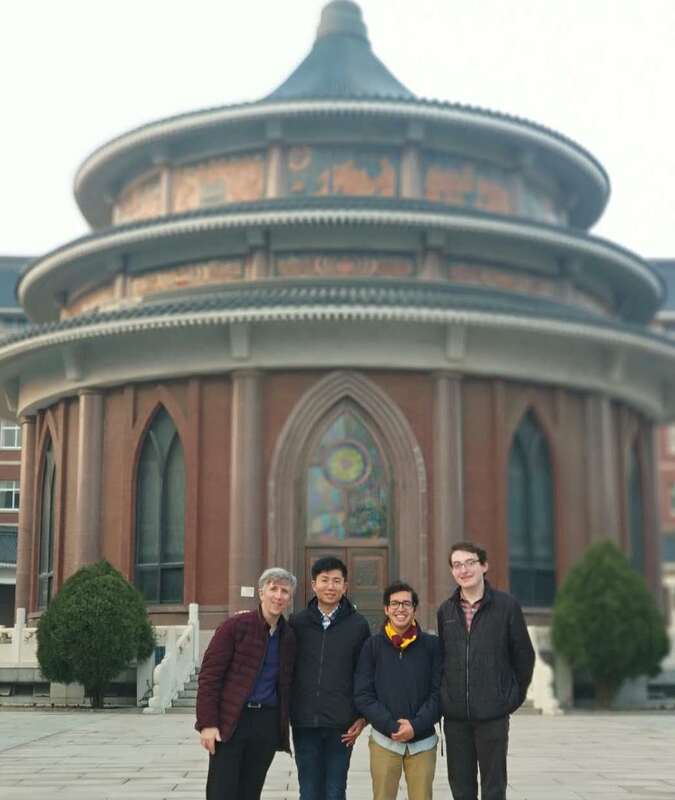 How can my China experience mean anything? I didn’t even want to experience China in the first place! It’s true, I’ve spent a great deal of time in China questioning my decision to be here. Yet through the questions, through the doubt; I have found confidence. I have found friendship. I have found countless stories that have taught me to embrace the flops, the language blunders, the embarrassing questions. These stories have taught me to embrace every silly, awkward, and shockingly human moment. And with only a few days left before I go home, I don’t want to leave. 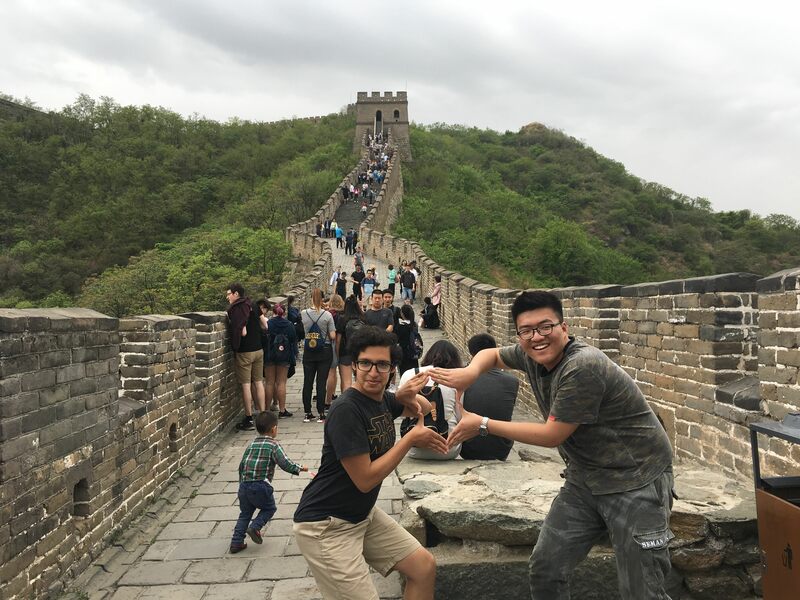 Posing on the Great Wall with 倪逸凡, my roommate for the semester. I’m going to miss him the most!